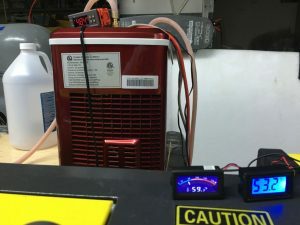 My new Cube chiller mod hack etc… In need of a reliable and some what inexpensive chiller and having trolled the inter webs for an untold amount of time. 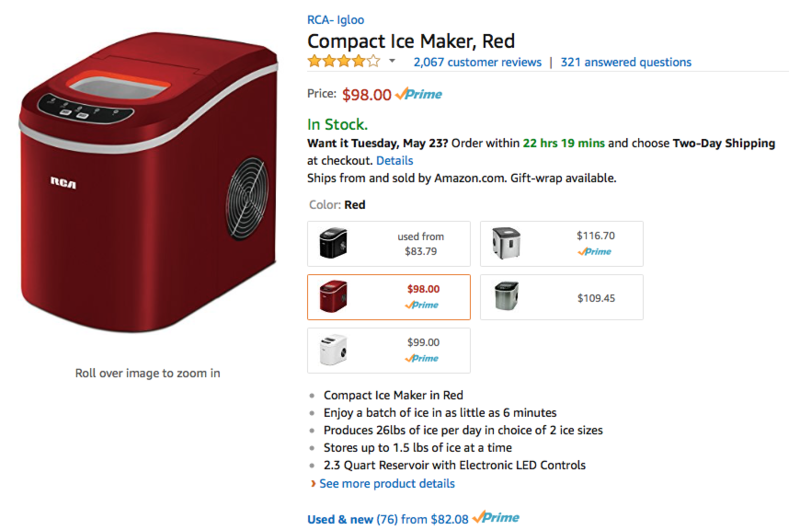 I found a user who hacked a tabletop ice cube maker. So I endeavored my own. Ill need to post up more pics. But it goes like this. One more thing. here is where I got the inspiration from. thanks to you! 1 fluid flow block: Included with temp gages. I also setup the gages in 3 locations. for the cube chiller its probe is inside the chiller it self. as for the two you see here one measures the fluid going into the tube…. and the other after the tube. In the below pic you can see the fan grill is missing. First I replaced the built in fan for one which move twice the air. so I had to open up the hole ah bit. and still need to find a suitable grill. 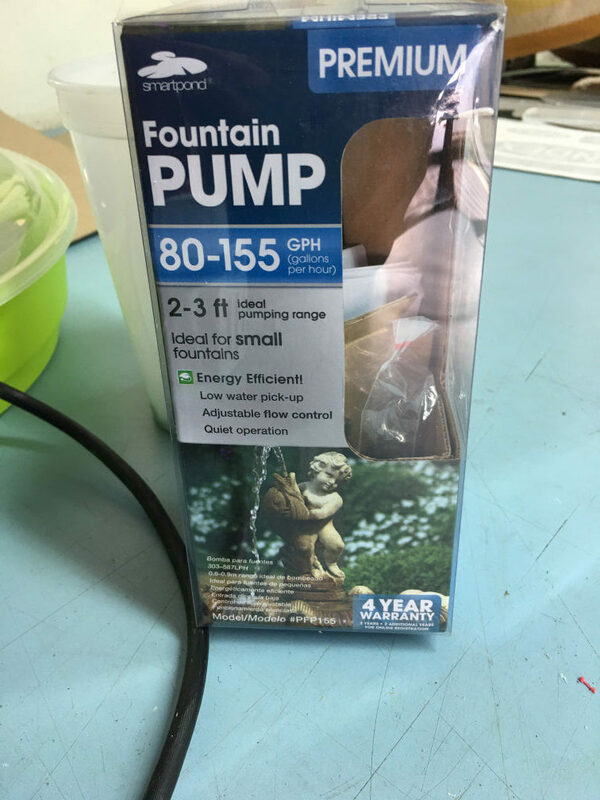 After several pumps I settled on this one. it was inexpensive, fit inside the chiller. and flowed quite a bit. 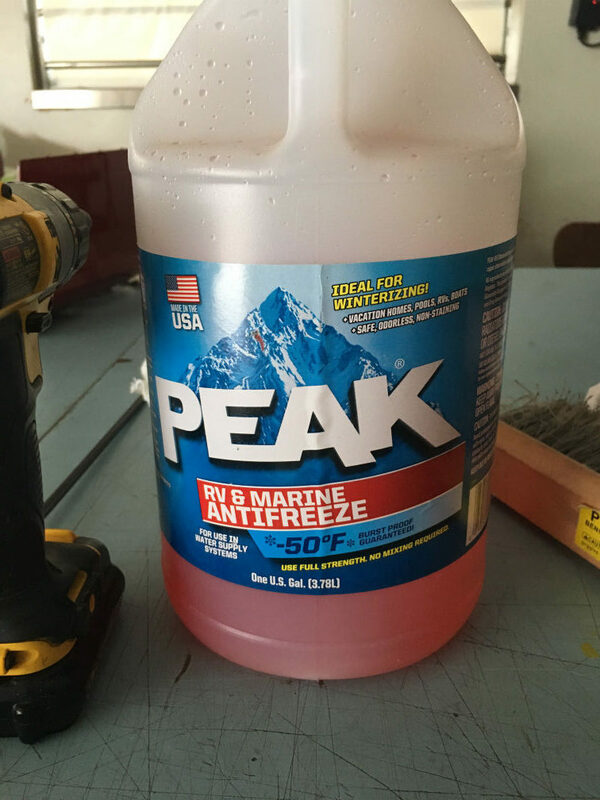 This is my choice of coolant. If you look atop the chiller you can see the temperature controlled relay. You can just see the ring washer where the fluid enters the cube maker. Above: you can see the flow block (temp prob is inside the block) I tried some armor flex over the silicone fluid lines. here in FLA the humidity is so high that condensation is rampant. this thing gets down to low 30’s in a hurry. (Above) 3 pcs. the 2 parts bolt together to form a manifold of sorts. the fluid enters thru the main hole (see red hole on right part.) then fills the cavity and exits opposite holes. that pour down on the cooling rail inside the cube maker. the 3rd part red ring in the middle Is a washer. easy part to make on the laser. operations are cut to remove excess plastic or creat the void. (not a full thru cut). then cut the 3 parts. thread the one part to accept a brass pipe fitting. then bolt the two halfs together. I used SS hardware. 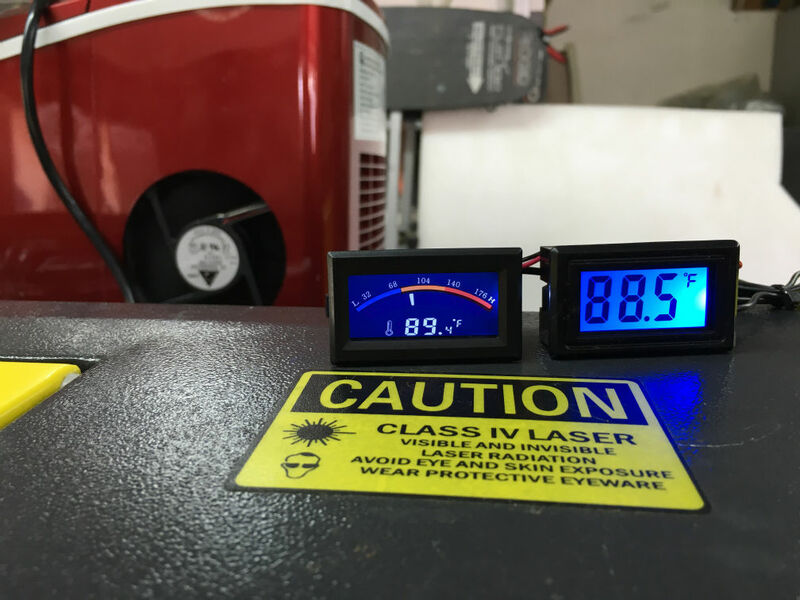 The unit is complete and in its final resting place under my laser. it looks nice now I have still to make some sort of control panel for the gages. but other wise it works fabulous. Ill have to post up my cad drawing for the mods I did to the ice cube maker it self. as well as a schematic for the temp controller. I will say would I do this again? HELL YEA! 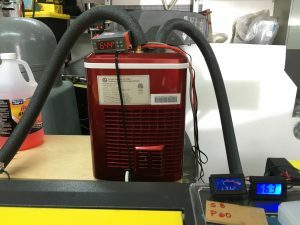 my previous chiller which I made cost me in the area of about 500.00 it looks cool as hell but for performance? does not even compare to this setup. as well as it takes up way more space.